When I was pregnant with my second daughter, my pregnancy seemed plagued with problems. I went into preterm labour at 25 weeks 4 days gestation, going on to deliver her at 35.5 weeks. Like many new preemie moms, I was scared. It’s because of that helplessness that I look to support World Prematurity Day on November 17th with 4 Self-Care Tips for New Preemie Moms. I remember like it was yesterday back to when I went into preterm labour and how absolutely terrified I was of losing my unborn baby girl. I remember it being 25 weeks and 4 days gestation because the Obstetrician delivered the bad news that he would not do anything to save my baby before 26 weeks. She was days shy of 26 weeks. I was diagnosed with Pre-Eclampsia and placed on bed rest in hopes of keeping my daughter from being born too early. My preterm labour stopped but unfortunately, my health continued to deteriorated putting my life, and the life of my baby, at risk so I was transferred to another city hospital with a NICU for induction at 35.5 weeks. After the delivery, I was too sick to hold my own baby, in fact I couldn’t remember much of the delivery let alone walk to see her in the NICU, and I had no friends or family in this city as a support system. When the nurse finally rolled me by wheelchair to see my newborn I saw how tiny and fragile she was laying under the lights for Jaundice on oxygen. I held her for the first time nearly 24 hours later but I was so weak that I nearly dropped her and that scared me more. It was an emotional time as a new mother with so many unknowns. Thankfully, despite some health issues and many hospital stays, my daughter went onto grow into the vibrant 14-year-old we are blessed with today. Personal Items – The hospital provides baby essentials but you may want to bring a baby blanket that you have your scent on for your baby to remember you and be comforted. In the past there were no premature sized diapers small enough but now, Pampers works exclusively with hospitals to provide the smallest diapers for the smallest preemie babies. Skin to Skin – Skin contact with your baby is important for bonding and for your preemie to thrive. Support System – Prepare a solid support system to provide childcare and take care of household duties but also to take your place in the NICU when you need a break. Don’t think for a second that you can do it all by yourself. If it means you simply need someone to sit with you, listen to you vent or cry on their shoulder, have someone available that you can rely on through this hard time. There are also support groups for parents of preemie’s. Self-Care – Not only are you still recovering from the physical effects of the delivery, you may still be suffering from a health condition. Sleep, eat, take care of your hygiene and give yourself time to recover or you will end up back in the hospital unable to care for your baby. 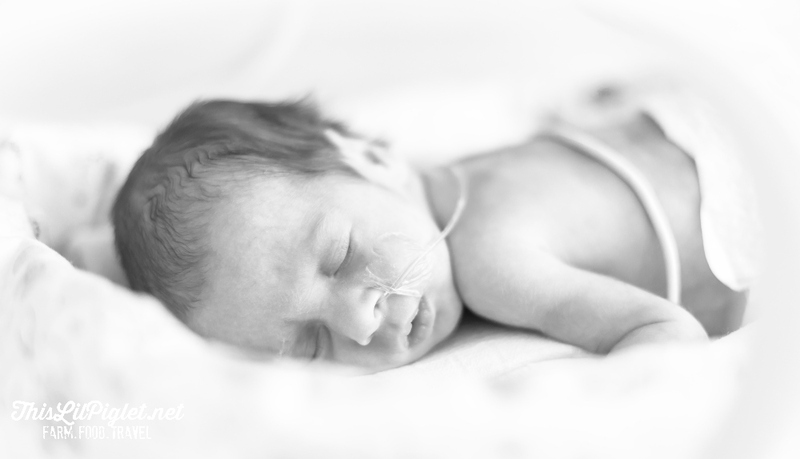 Every year in Canada, approximately 1 in 12 (or 27,000) babies are born premature. This is why Pampers has partnered with Neonatal Intensive Care Unit (NICU) nurses to design and introduce a size three times smaller than newborn diapers to fit the tiniest and most vulnerable premature babies. These new Pampers Preemie Size P-3 diapers (available exclusively at hospitals) offer a small touch of love to premature babies born in the second trimester and weighing as little as 1 pound (500 grams). They are designed to minimize sleep disruption, enable proper positioning, and aid in medical care for premature infants. 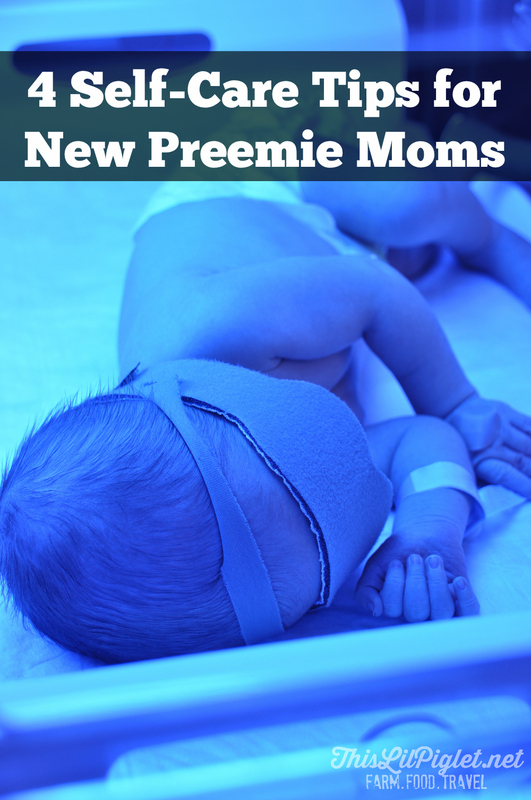 What can you do to support New Preemie Moms? Join me on November 17th in support of World Prematurity Day to spread the message of love and care by sharing this heartwarming#touchesoflove video to celebrate the births of the smallest preemies and their amazing mothers. Share this video using the using #1stchoiceofmoms and #touchesoflove hashtags to show your support and join Pampers in conversation on Facebook and Twitter. Like this post? Let me know in the comments below, I’d love if you’d pin it for later on Pinterest or follow along on Facebook, Twitter and Instagram. I was the mom of premmie twins. I also work in an NICU. So, these tips are definitely ones that other premmie parents should embrace.